Nozstock 2017 – Did it live up to expectations? Becky and her family are back from Nozstock and if I wasn’t on a cruise ship in the Bahamas at the time I would have been very jealous of their adventures. Check out what she thought of Nozstock 2017 and whether it lived up to their expectations! Nozstock 2016 was one of the highlights of our summer so this year’s festival was always going to have a lot to live up to. In the weeks leading up to it, as more and more acts were revealed we knew this, the 19th Nozstock, wasn’t going to disappoint! We arrived on Thursday just before the gates closed at 9pm as we’d had to travel down from Manchester straight from school. It was a welcome relief to unpack the car and find our camping spot in the family camping area. Although the festival programme doesn’t begin until the Friday, you can pay an additional fee to arrive on the Thursday which makes finding a space and getting set up that little easier then you’re free to enjoy the festival when it opens the next day. Friday morning was a wet, drizzly start but the girls were eager to get out and explore the site. 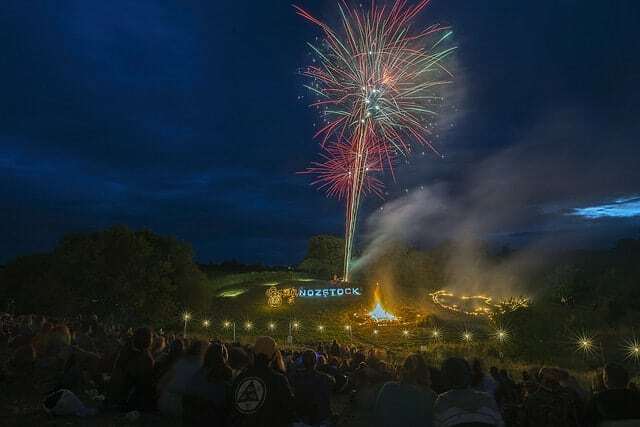 This years Nozstock boasted 11 stages of music, cinema, theatre and more along with an impressive children’s area ‘Little Wonderland’. This is where Isla and Sadie would happily have spent every hour if we’d let them, ‘Spare Room Arts’ who run the area make sure there is something for all ages and within minutes both girls were making tutus and flower headbands. The tie dyeing is always a popular activity and it was great to see so many children proudly sporting their makes over the weekend. selling drinks at pub prices (around £4 for a pint of cider) and some food stalls. We really enjoyed the pizzas from Hot Rocks pizza and even though the queue sometimes looked huge it went down quickly as the pizzas only take 90 seconds to cook! Perfect when you’ve got two hungry girls with you. We finished off Friday evening watching Seasick Steve on the Orchard Stage, a perfect end to our first day as he was amazing! 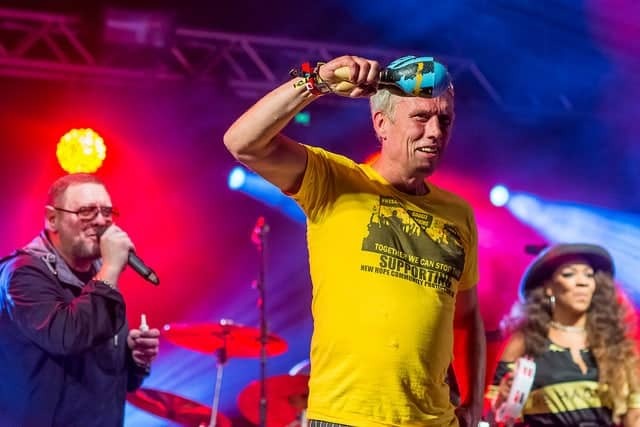 The rest of the weekend was a mix of trying to avoid the rain while still making the most of everything Nozstock has to offer, our highlights were definitely watching Hayseed Dixie and Happy Mondays with my daughters dancing like loons! Being Manchester born and bred we couldn’t miss the opportunity to see Bez shake his maracas and he didn’t disappoint. The rain tried it’s hardest to turn the site into a muddy bog but the crew did a great job overnight and by the next day you could easily walk around everywhere again. The atmosphere at the festival is a major pulling point for me, it doesn’t feel cliquey in any way and everywhere you look there are groups of families and friends all just out to enjoy the weekend. It’s a relatively small festival at around 5000 attendees and as much as I want to tell everyone how amazing it is, I also selfishly want to keep it a secret so it doesn’t get too big and lose the vibe I love. 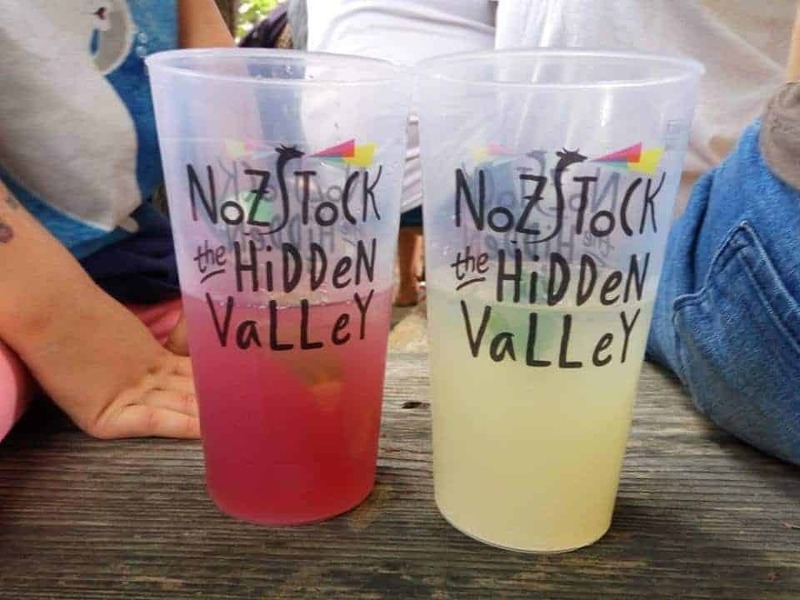 It’s a difficult choice as a parent finding a festival that feels welcoming and safe for children, this is something Nozstock seem to achieve really well though. Children aren’t an afterthought here and after speaking with Ella Nosworthy, the Creative Director of Nozstock (and daughter of Noz, the farmer who originally started the festival as a small gathering of friends) this is very much a conscious decision, especially since welcoming her own daughter nearly 2 years ago and expecting her second child later this year. Before having children Ella used to ensure children were provided for but says now it is even more important that all the little things you think of as a mum are ticked off and it really shows. Little things like making sure there is buggy access and a quiet family camping area all make this festival feel all the more welcoming. It all feels like a very natural progression says Ella and the festival has evolved as have the people who attend. This year it was a very conscious decision to try and balance the programme as it had felt a little dance heavy in recent years. This years headliners were a dream come true for the Noz family, they couldn’t quite believe Seasick Steve was actually going to play and didn’t want to get too excited too soon as he is someone Noz has wanted since day one of the festival. Seeing Noz onstage after he played saying goodnight to the crowd you could feel he’d enjoyed every minute. 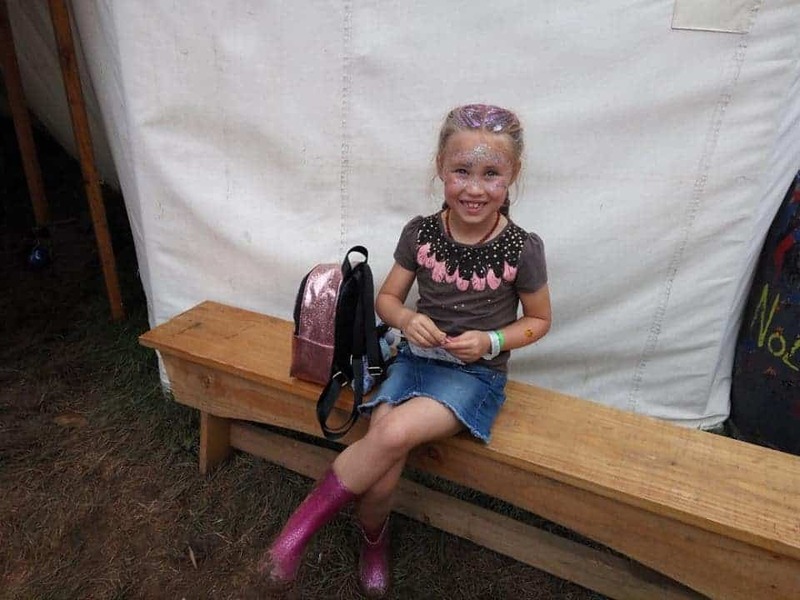 I know Ella was looking forward to spending some well deserved time with her family now the festival is over for another year. We left on the Monday with the girls already making us promise we’d be back next year for the 20th anniversary and how could I not agree? Nozstock 2018, we can’t wait!